Are you searching for a fun Mother’s Day craft? Look no further. This is a fun and easy to make project that will look like a store-bought item though it was crafted with love. The instructions in this article are to make one craft. Adjust amounts of supplies as needed for the amount of children making the craft. To create this Mother’s Day craft you will need the supplies listed below. Once you have gathered the supplies together, follow the instructions below to complete the Mother’s Day craft. Using a small piece of green craft tape, tape each silk flower to the top of a pen so that the point of the pen is facing down and the flower is facing up on the top part of the pen. Wrap the entire pen in green tape by starting at the top and rotating the pen so that the tape goes around the pen while also going down the length of the pen. Do not cover the point of the pen. Pour the gravel into the flower pot. 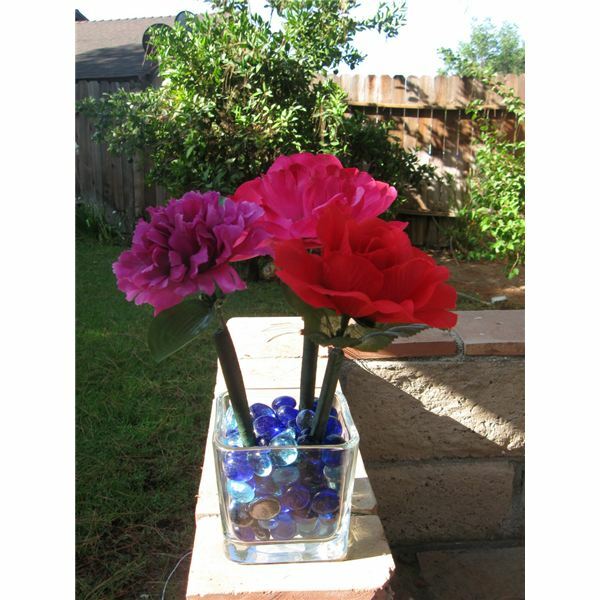 Push the pens into the flower pot so that the ball point of the pen is immersed in the gravel. Your project should look like a flower pot with flowers growing out of it. Children may want to decorate the outside of the flower pot. Using ribbons, paint or other craft material, allow the children to personalize the outside of the flower pot so that it reflects their imagination as well as their love for their mother. Encourage children to get creative and use their imagination! They may even want to make a small card to attach to one of the flowers as if the gift came from a flower shop!